Pre-heat grill to high heat. Place a large pot of water on high to boil on the stove. Cook bacon if not done so already. Boil corn for 5-7 minutes, and then finish off on the high heat grill for 3-4 minutes, rotate to roast the corn. Let cool and cut corn off the cob and into a medium size bowl. 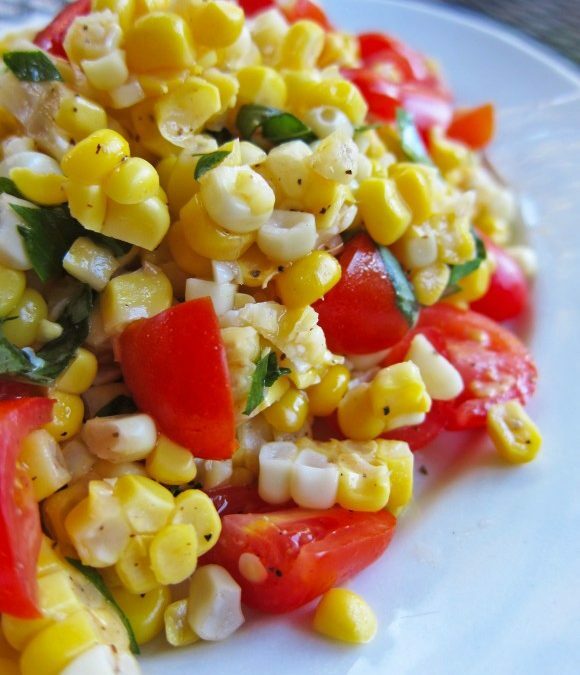 Cut tomatoes in half and add to the corn, next add the feta cheese and green onions to the bowl and mix gently. Set aside. Make salad dressing, by mixing olive oil, lime juice, honey, salt, pepper, and jalapeno. Use a food processer or immersion blender to mix the dressing. Pour salad dressing over corn mixture, mix well. Top with bacon and serve over chopped lettuce.